1. Who does John Love represent to you? Firstly, thank you Lynn for having me along here to your blog, it’s a real pleasure to be here. Just to put it in context, for people who have not read the book, Song of the Sea God tells the story of a man who comes to a small island off the coast of England and tries to convince the local people he is a god. It’s a story about the nature of religion and what it means to people. 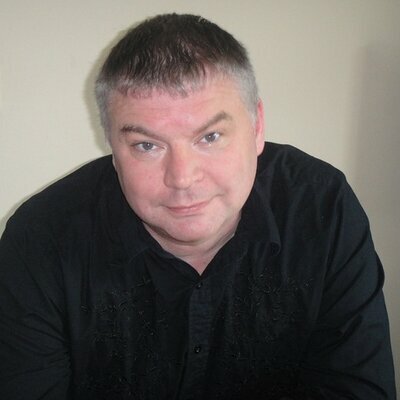 John Love is my ‘god’ character and I suppose an interesting thing is that when I was writing the book I was concerned more with what he might represent to the reader than what he represented to me. One of the main things I wanted to do was to make sure there was a lack of certainty surrounding him on a number of levels. It’s hard to pin down what his motivations are – beyond the basic premise that he wants to become a god. Is he evil? Does he somehow believe he is helping people and acting in a good way? And beyond that I wanted there to be a grey area surrounding his very nature – is he just a con-man, a magician, a charlatan? Or is there something more to him – something supernatural? Even if you begin by believing one thing about him your opinion is likely to waver and shift during the course of the book. It was crucial for me that people be allowed to make up their own minds on these questions – perhaps because belief is such a core part of all religion. 2. What made you tell this story? I’m not sure to be honest, Lynn! I suppose it developed over time and evolved from me wanting to think and talk a little about religion and what it means to people. I’m not particularly religious myself – I suppose I would describe myself as an agnostic, but saying I don’t know the answer to the mysteries of the universe is definitely not the same as saying there are no mysteries. I wanted to talk about that god-shaped hole people find in their lives and how it can be filled, for good and bad. 3. What were you trying to show when Walter & Grazier were mobbed? When I was writing the book I did quite a lot of reading around faiths and beliefs – particularly ancient ones – pagan religions and so on. It seemed clear to me that, however high-minded their initial set of beliefs were, however much talk of love and positivity, that, somewhere down the line, there was a very dark side too. So often, hand in hand with all the good stuff, came the sacrifices, the martyrs, the holy warriors. It seems as though you can’t deal with these very powerful feelings and forces without there being destruction of some kind as well. What Walter and Glazier share is that they are both outsiders in some way. Walter because of his physical and mental health conditions and Glazier because he’s the only black person on the island. Both of these deaths are very shocking I think, not only because of their brutal nature but because of something else they share, which is that they are manifestly unfair and unjust. In Walter’s case, he is so vulnerable and I think there is an unspoken human code that people who are as vulnerable as he is are protected in society. He’s harmless basically, so why harm him? In Glazier’s case I would say he is the closest thing in the book to a good character – a good person. He has his issues and problems of course, like everyone else in the book. But, he is strong, as he has grown up marked out as different from everyone else, and he is brave as, when he feels he has to stand up for what he believes. Yet there is an incredible sense of injustice with his death because the community, which he has every right to consider he is a part of, turns against him, not only physically but in a very harsh, racist way. I would say the world of Song of the Sea God is one where there is no sense of natural justice but, sadly, the real world can often be like that too. 4. Why does John decide to self- destruct? Another key think you find when you read around the world of different faiths and cults is that it often doesn’t end well for the god. One of the key texts I referred to when I was writing was The Golden Bough which is a collection of ancient faiths and beliefs from around the world gathered in the 19th century into a huge volume by Frazier and the Cambridge anthropologists. It struck me this book could be used as a ‘how to be a god’ manual. In Sea God, John Love has a copy and seems to refer to it in that way. The Golden Bough has a huge section on the death of the god. There are many examples of these self-destructive deities – I borrowed one of the most extreme as the model for John Love’s demise. 5. Theme or message to readers? I am a big believer in what Dr. Johnson said: ‘A writer only begins a book, a reader finishes it.’ I don’t deal in simple messages or themes and my hope is that I provided enough food for thought for people to draw their own various conclusions. When I wrote the book I wanted to create something layered and interesting – with darkness and jokes and plenty to give the reader pause for thought. I’ve been delighted to find people who read it come to all sorts of conclusions and take it in all sorts of different directions. That’s been a real joy for me. I recently took my publisher’s advice and started my journey on social media to connect with like minds. I believe it was Maya Angelou who said, “Equals can be friends.” In the past three months, I have met and exchanged with new writers, painters and poets on Twitter. I am enjoying it so much. I have access to titles that are hot off the press, as many are advertising their art whether song, painting, photography or writing itself. So, in the last two weeks, I read and reviewed three novels. Writers cherish and welcome the reviews of others to post in places like Amazon, Barnes & Noble or Goodreads. My first was Nonnie Jules’s Daydream’s Daughter, Nightmare’s Friend. I finished it in two nights. I could not put it down as I followed the trauma that Maiya experiences at the hands of her stepfather. I held my breath and hoped that things would turn out well for her. Whenever an author can make you care about the well-being of her character, then you have a good writer, which Jules is. I quickly mailed it to a friend who also enjoys reading! 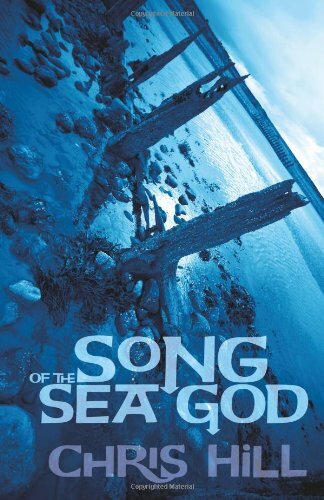 Next, I read Chris Hill’s Song of the Sea God, which takes place on an island in the UK. A man named John Love turns up and provides the bored islanders with an idol and hero and shows how people love their gods, no matter how flawed. There are surprising turns of events and it held my attention until the final twist on the very last page. And, today, I just finished Selena Haskins’ A River Moves Forward. It takes place in Chicago in an era that I lived through. Many of the scenes brought back precious memories from my past. When I corresponded with Selena through Twitter, she shared that she had never been to Chicago. Her research was good and it took a lot of courage to choose a setting where she had not been. She pulled it off as I followed the lives of Connie and Dean and the scenes from places like the infamous Cabrini Green or Robert Taylor Homes. This was also a page-turner. And now on to another new choice from a Twitter follower! I think he will be surprised. What fun! The other day, I attended a Joffrey Ballet performance of Romeo & Juliet. It was exquisite! The dance forms were perfect. Imagine Shakespeare with no voice or lines! I had seen Romeo & Juliet done through ballet in Boston a few years ago. Both times were charms! We know that the play is hundreds of years old, but this is where 2014 kicked in. As I sat on the upper level and looked down during intermission, I noticed a sea of lights. Cell phones were lit up as people occupied themselves during the lull time. Many of the attendees were well up in age, but that did not show because many were attuned to the social media network. They checked messages, texted or whatever as they silently connected with others as they waited. Amazing! When I saw Alice Walker at the American Library Association Conference in July of last year, she mentioned her need to get out and see how the world is doing though she is most comfortable at home. She named one of her latest books, The Cushion in the Road. I think her title means that she will find a comfortable spot as she travels the world when duty calls. Even though writers often work in isolation, we still have a need to come out of our hovels and connect with others. People inspire us and the flow of life itself keeps us writing. We may seem reclusive, but the craft requires time to put it down on paper or screen. Hemingway spoke of how he wanted to write just as he saw it. That is a real task. Sometimes, there are no words to capture the observation or ideas. I recently watched a special on J.D. Salinger. As he aged, the townspeople often protected and shielded him from travelers who wanted to get a glimpse of him. It is still believed that he left some great work somewhere in there. where he wrote and was rarely seen. So yes, writers do love the world and they do love people. But in order to create, writers like turtles, must pull their heads into their shells and try to fill the empty page with believable words. And, that new muse or new energy can only come from connecting with people. During National Poetry Month, I wrote eight poems to post on the Writer’s Digest website for the Poetry Challenge. Writing poems come fairly easy for me. I am a little old-fashioned and believe in trying to make it rhyme. Many write simple prose, which is a poetic form as well and is equally beautiful and challenging. We were given prompts so I think abut the subject; connect it to a feeling, emotion or memory. Then I write the first sentence and start to think of words that rhyme with the last word of the first line. I then attempt to write rhyming couplets, though the meter is hard to capture. Here is one that I wrote last month when given the prompt “it’s over” or something to that effect. I thought of a co-worker from my first job who used to holler out,” It’s all over,” in a humorous way when it was closing time at the store and the doors were locked. In Produce. Always putting out more. His fruits and vegetables never bent. He simply wanted to just be. Never showed any inner pain. His hands would raise and soar. Duggan- a true four-leafed clover.